Our Colored Beverage Napkins are offered in 18 colors and are environmentally friendly, biodegradable, and made from renewable resources. Unlimited number of imprint colors available! This product may be Screen Printed, Hot Stamped, Debossed, Embossed or purchased without imprint. 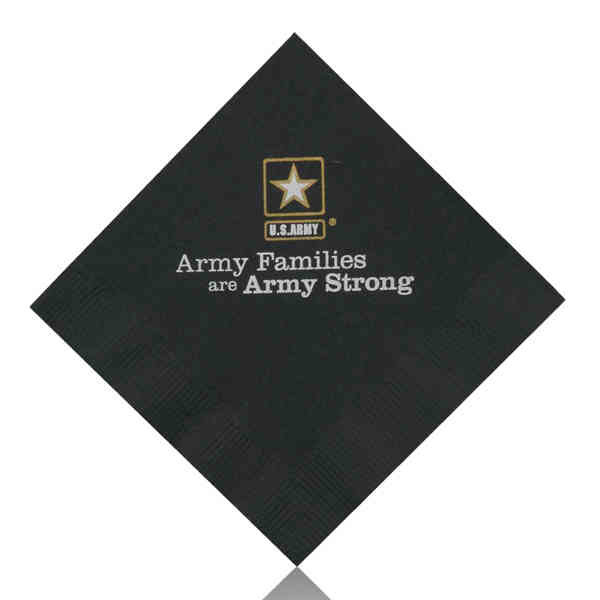 Napkin colors can be combined with the same art with minimum quantity, restrictions apply. Free PMS matching. Metallic and neon ink colors offered at no extra cost. Made and printed in the USA. Ship Weight:25 lbs, Package count, Case quantity, Case Dimensions will be different for unimprinted items. Box must use the greater of case vs. dimensional weight for all shipments.